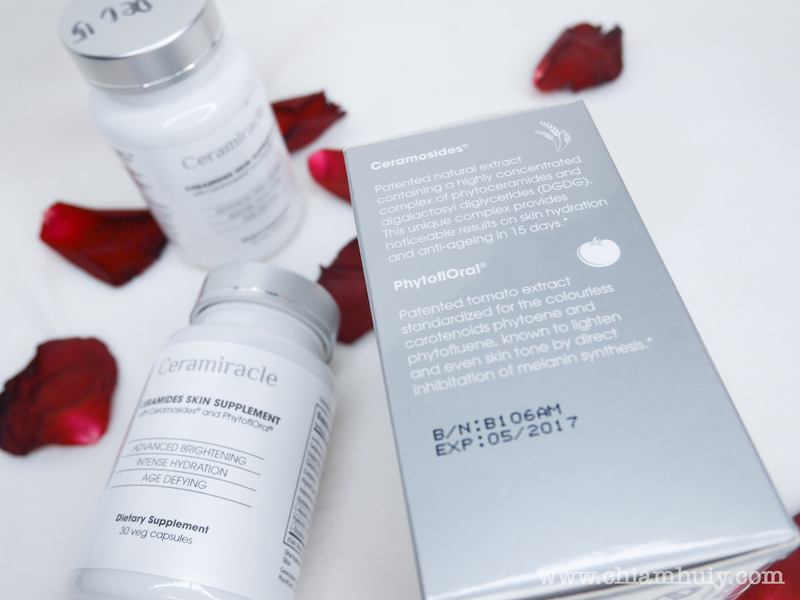 Brighter and more hydrated skin, what's the secret? Sometimes it's really no secret when you know what's the best for your skin. Sometimes you just have to explore options (with cautious and research of course). 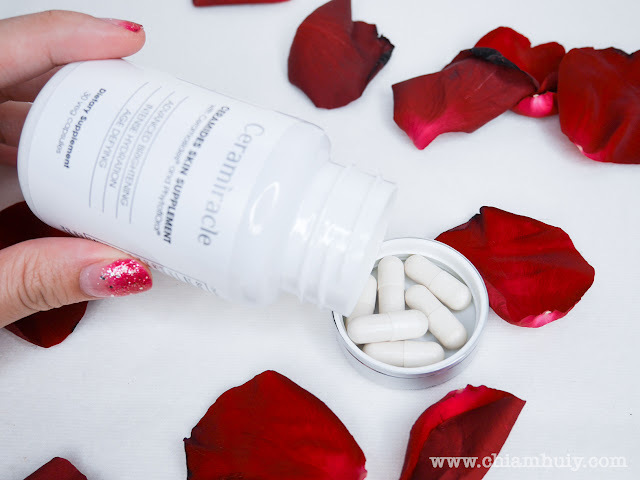 This time round, I decided to explore the option of consuming skin supplements! 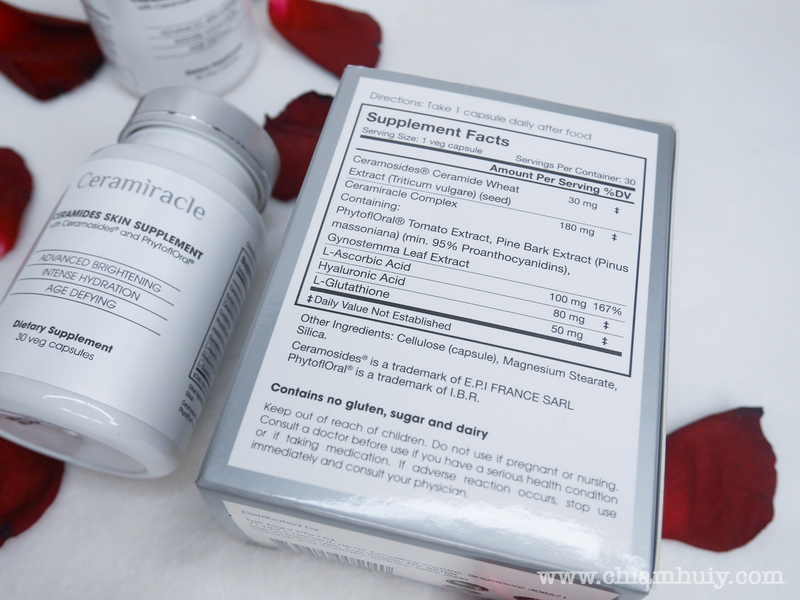 Truth be told, it's my first time consuming skin supplements. Like many others, I'm worried about consumables because they are after all consumed into our bodies. There were many worries and fears that I had before committing to this bottle of Ceramides, and I'm glad that all fears are unfounded. No signs of uncomfortableness or side effects during my course of Ceramides Skin Supplement. 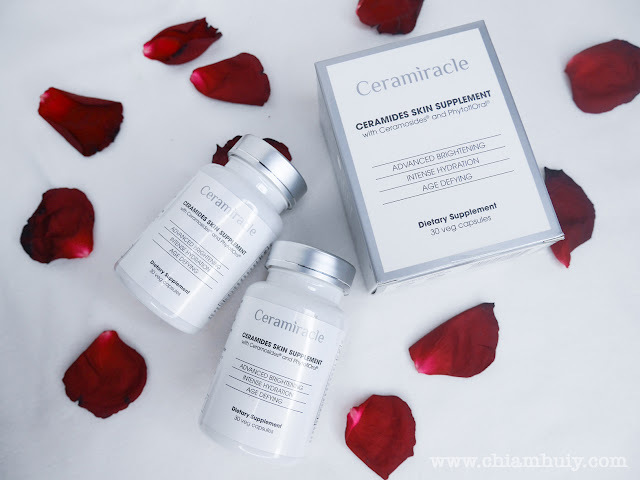 What is Ceramides Skin Supplement? 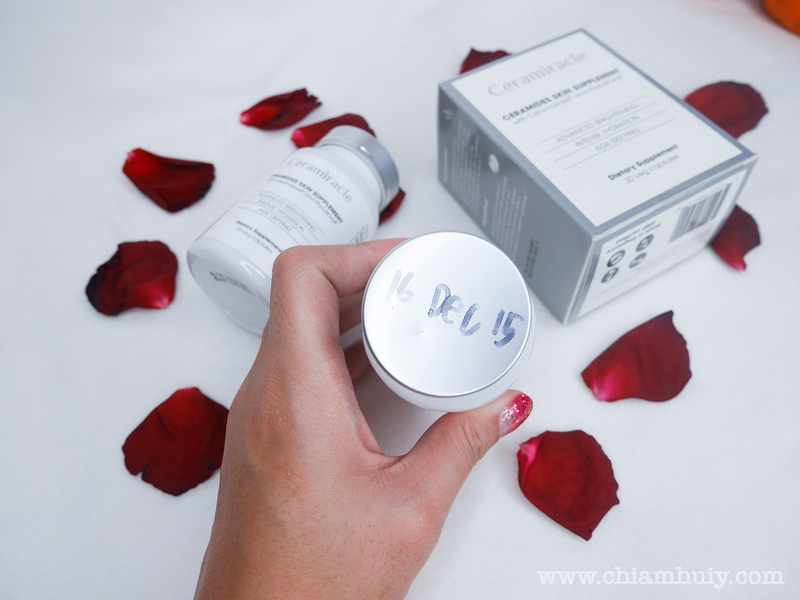 Ceramides Skin Supplement is packed with Ceramosides® and PhytoflOral®. 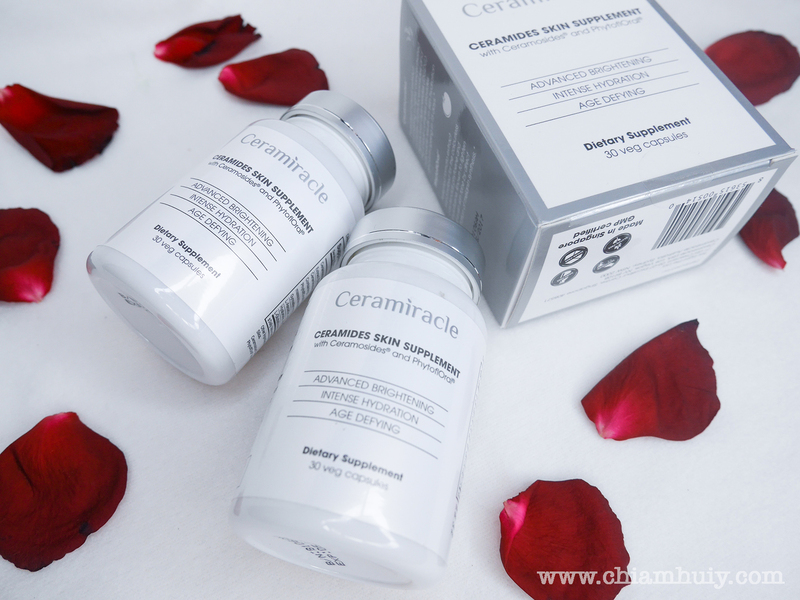 It is from Ceramiracle, an anti-ageing and whitening line of supplements and skin care products. Each bottle comes with 30 veg capsules and retails at S$89.00. If you have heard of Crystal Tomato, then just understand that Ceramides Skin Supplement works almost similar to that of Crystal Tomato, which is to brighten and hydrate your skin, reduce fine lines and even skin tone in 15 days. Usually my T-zone area will be quite oily after just a few hours. Not saying that my face is completely matte after lunch now, but the amount of sebum secreted seems to have reduced quite a lot. Instead of say having to blot several times a day, I only have to do it like once! (PS: By blotting, I only use tissue paper instead of blotting paper). On the other hand, breakouts and skin issues have reduced quite a lot too. 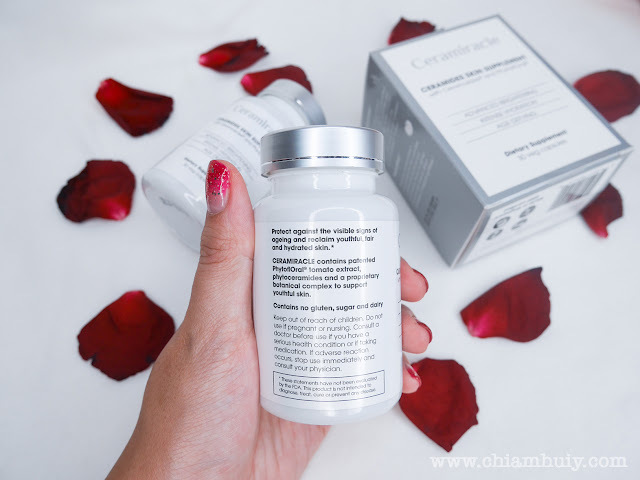 Well to be fair, I did go for laser treatments and I've been using products Dr Lee (Clifford Clinic) prescribed to me, but I still feel that Ceramides Skin Supplement has helped in some ways or another. In fact, breakouts are common especially before my menses come, but I definitely notice a drop in it. Skin seems to be smoother (especially my bumpy forehead! ), and my skin does look more radiant now. 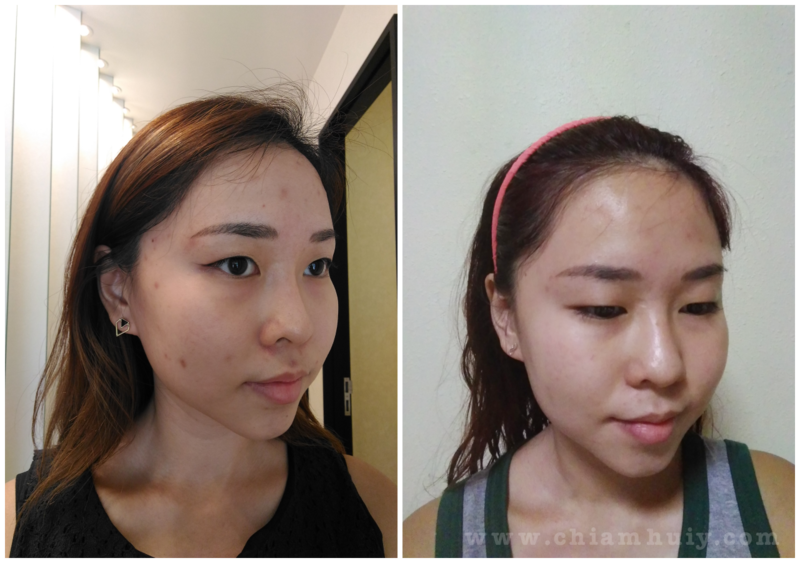 I use to ONLY have breakouts on the forehead, but for some reason in late 2015, I start to have more breakouts around my temple area and down along my cheeks. And I'm talking about large pimple nodules. 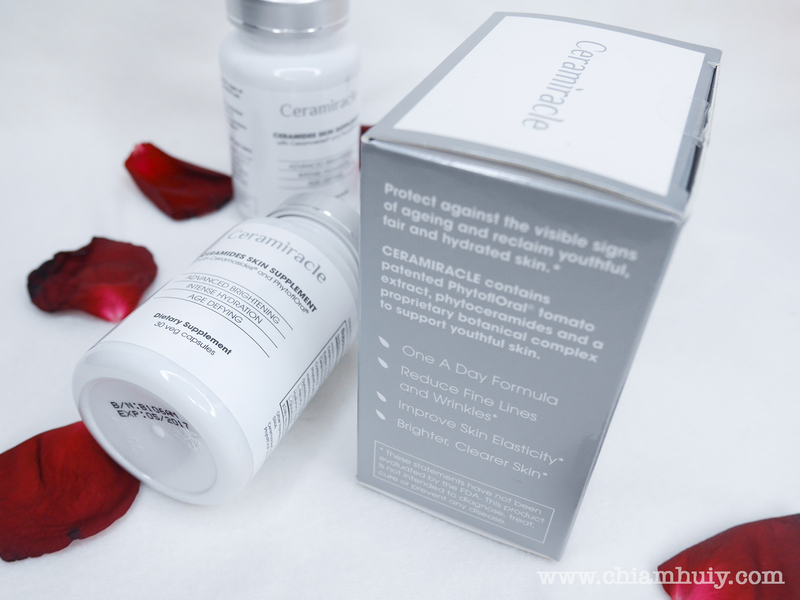 While seeking help from the dermatologist, I also started consuming Ceramides Skin Supplement. I've completed 1.5 bottles thus far. Another image to illustrate to you my skin problem in the past. 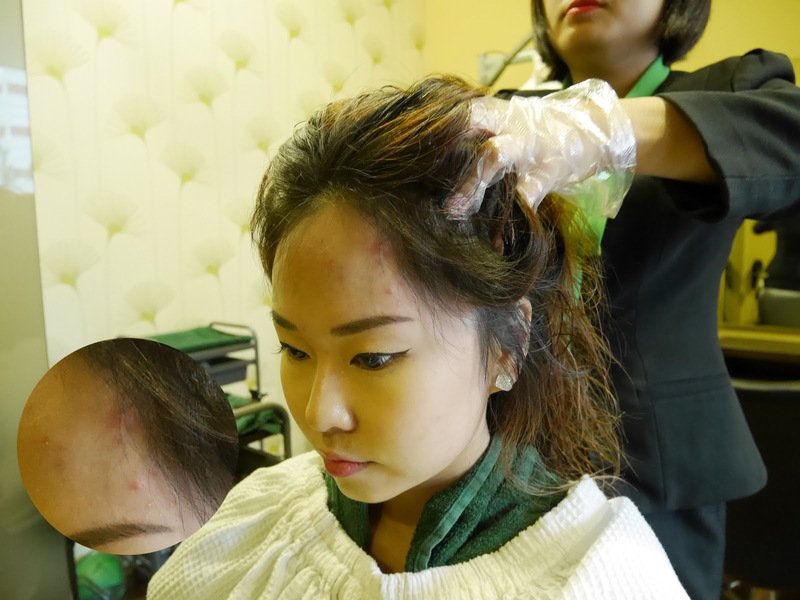 I used to have large pimple nodules on my forehead like the one pictured above. They're so painful, even when I raise my eyebrows! I also have these wicked ones on the side of my temples, which felt really horrible too. After consuming Ceramides Skin Supplement, I honestly felt that there's a huge improvement. Skin is less oily too. 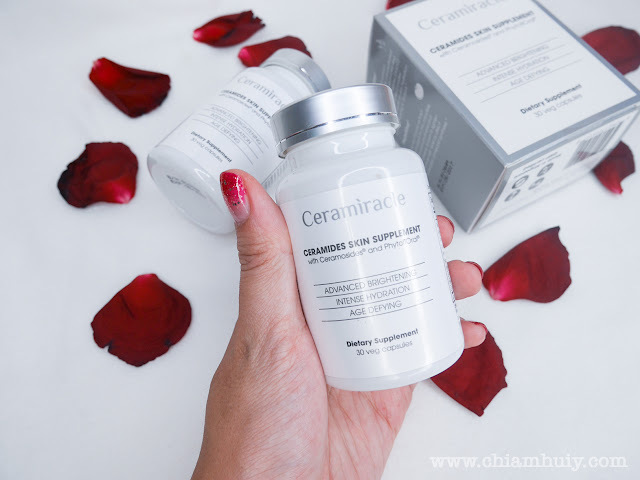 Ceramides Skin Supplement comes with 30 veg capsules, consume one per day. Find them in stores in Guardian, Watsons and Robinsons stores, retailing at S$89.00.